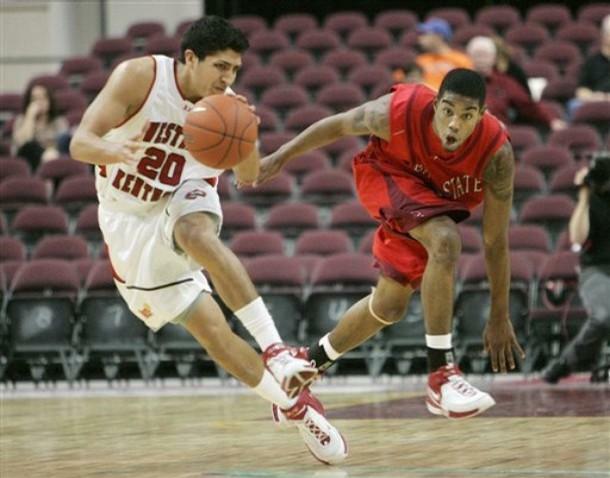 Pre-season All SBC selection Alex Galindo, who suffered a dislocated ankle injury prior to the start of the 2008-2009 season returned to action in unexpected fashion scoring 19 points in a recent Panthers victory over Fordham. FIU has been hampered by a string of injuries to key players and looks to continue to rebound after a six game losing streak . Still on the list of "desperately needed but not available" is center Russell Hicks; also a pre-season selection. They will have to wait a while however, as he is not due back until late January. Florida Atlantic has played a rediculous 10 of 13 on the road thus far this season. But that didn't stop them from giving Kentucky all they could handle until the waining minutes in a gutsy performance at Rupp Arena. We pegged this contest as a potential upset for the SBC, and were not far off given the performance the Owls put forth. 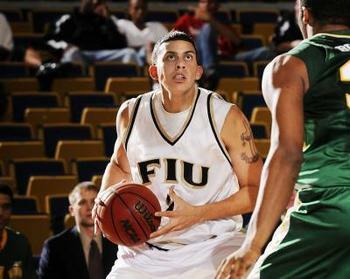 FAU was lead by Paul Graham's career high 31 points. It's no secret that the Cats are a bigger and more athletic team, but hats off to FAU for hanging in until the end. "I thought they played out of their minds," said UK's head man Billie Gillispie. The score was tied at halftime, and the Owls pulled to within two with just over 3:00 to play. 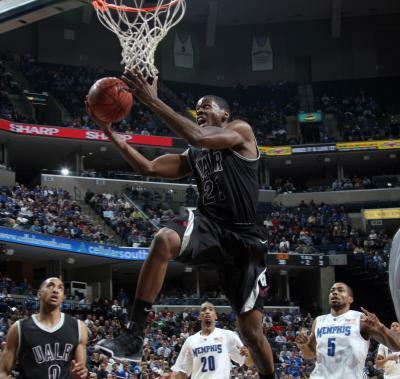 The 23rd ranked Memphis Tigers, who were held without a field goal in the last 8:07 minutes of play, pulled out a close win against the Trojans of UALR by a final score of 59-51. The Trojans came as close as six points with 2:30 to play but were not able to gain further ground as Memphis sealed the deal at the charity stripe. Steven Moore led the Trojans with 16 points. No one believed that Denver would be mentioned along these lines at the beginning of the season for a number of reasons. 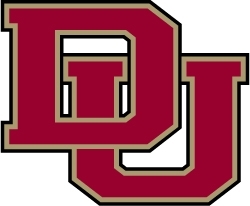 But the Pioneers have won six of their last seven, and have evened thier overall record to a respectable 6-6; most recently knocking off UC Riverside 52-46. Thier style of play, The Princeton Offense, has given folks fits. If they keep this up it will do alot more than that. 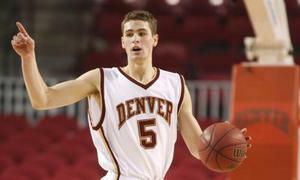 Denver was picked to finish 6th in their division at the beginning of the season. As Rodney would say: "No respect". Orlando Mendez-Valdez recorded the first triple-double in program history in Western Kentucky's 99-76 victory over Troy on Thursday. The junior guard had 18 points, 10 rebounds and 12 assists, wrapping up the feat with an assist on an Anthony Sally jumper with 6:53 left in the game.